- Publisher This study provides a straightforward introduction to the contents and themes of the first five books of the Bible. 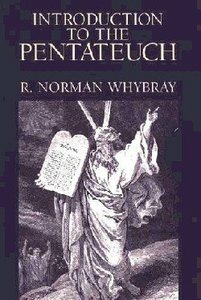 The author stresses the meaning of the Pentateuch in its canonical form while remaining sensitive to its literary merit, theological import, and compelling power. About "Introduction to the Pentateuch"
This study provides a straightforward introduction to the contents and themes of the first five books of the Bible. The author stresses the meaning of the Pentateuch in its canonical form while remaining sensitive to its literary merit, theological import, and compelling power. whybray (1923-1998) was professor of hebrew and old testament studies, university of hull.